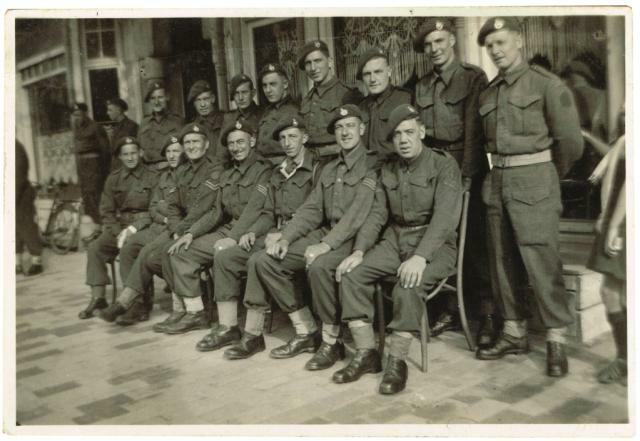 On the 1st August 1943 whilst based at 'A' camp, Piddlehinton, Dorset, the 9th RM Battalion was redesignated as No. 46 Royal Marine Commando, Royal Marines. Within a week the unit had moved to Poundbury West Camp in Dorchester, quickly changing to its new smaller Commando establishment. 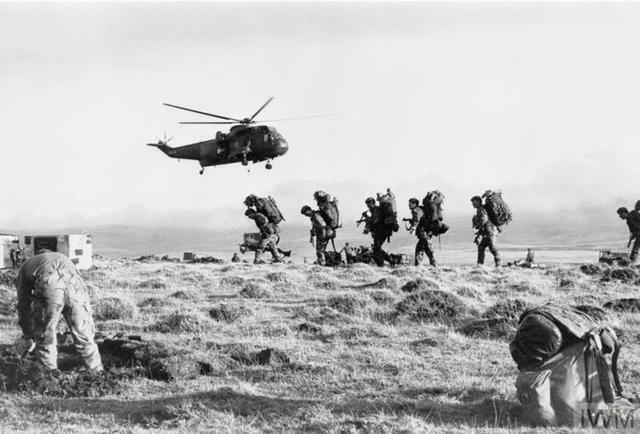 Those not required for any reason for Commando training were gradually moved to Training centres for landing craft and/or other vessel duties. In September advance parties led by Major Lee and Lt. Nunn (both later killed in action) were sent to Troon with the rest of the Commando joining them there on the 15th September. The Commando had already been issued with their Green berets at this stage, parading in Dorchester wearing them on the 11th September before their departure. All this training was focussed on one thing - the allied invasion of North West Europe. 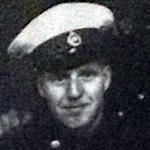 At 0900 on the 7th June 1944 the Unit was landed on Nan White Beach at Bernieres. There would follow actions in the next few days at Petit Enfer, Douvres, La Deliverande and Rots and Le Hamel. On the 17th June the Unit was reassigned to 4th SS Bde whilst dug in at the area of Sallenelles - Hauger. No. 46 Royal Marine Commando continued operations in the area moving forward to Dozule and Breville sur Mer in August. At the end of September and after suffering heavy casualties No. 46 Royal Marine Commando and the rest of the Bde was withdrawn to the UK and stationed on the Isle of Wight. 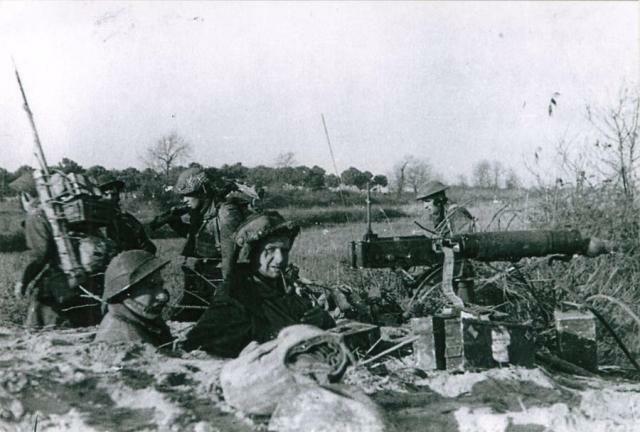 At the end of the war the Unit was involved in policing duties in Germany before being disbanded in February 1946. Click/touch 46RM Commando below for additional content, or follow the links below it to specific content entries.